Stroll around Ginzan Onsen, the nostalgic Onsen town of the Taisho Era! Ginzan Onsen is a hot spring village named after “Nobesawa Silver Mine” that prospered at the beginning of the Edo era. Traditional sceneries of Japan while enjoying the public bath as well as ashi-yu will turn you nostalgic in this hermitage village. Experience the natural transformations over four different seasons including the much recommended cherry blossoms ascending the mountains that are still covered with lingering snow in Spring. 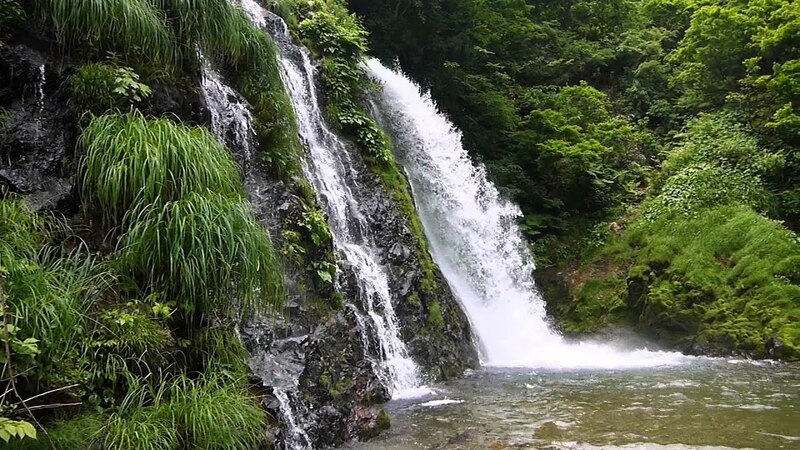 The rhythmic sound from the waterfalls and streams are soothing in the warm Summers. The dried red and yellow leaves dress the town in colors of Autumn. Stroll along the walking trails donning a Yukata, while your cameras go click, click! In Winter, the cityscape transcends into a mystical world of snow and gas lamps. Something you mustn’t miss is the Waraku Ashi-yu or the foot bath. Give yourself an ‘Ashi-yu Time’ while your eyes savour the view of across the river. Cherry blossoms, gurgling waterfalls, autumn trail walks, mystical snow, et al. this charming town of Ginzan Onsen will keep bringing you back again and again anytime of the year!